The history of Port Grimaud is magnificent and it is with great pleasure that we will narrate it to you today in these pages. In 1962, a Mulhousian architect named François Spoerry acquired a marshland in the heart of the Gulf of Saint-Tropez that no one wanted, but he had a vision and devoted the rest of his life to it. During holidays with friends in Greece, the young sailor architect had bemoaned the difficulty of mooring his boat near his holiday rental. The dream of a lakeside city then sprang up where each house had its own mooring. This vision was realized in 1966 when the Port Grimaud building permit was granted on June 14. The construction work lasted from 1967 with the emergence of Port Grimaud I until the early 2000s, which marked the completion of Port Grimaud III. 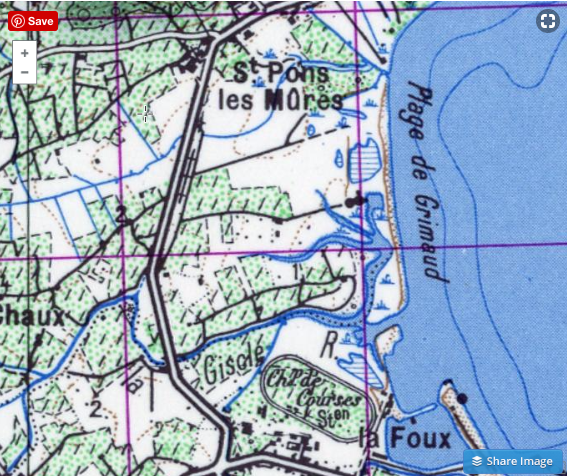 Today, the city is divided into 3 districts: Port Grimaud I, Port Grimaud II (also called Port Grimaud Sud) and Port Grimaud III, governed by 3 separate and autonomous trade union associations. Listed as a UNESCO World Heritage Site of the 20th century, the village covers 90 hectares and includes 2400 accommodation units for more than 2000 moorings. Its 7 kilometres of canals influenced its nickname « Venice Provençale ». François Spoerry has indeed made it a point of honour to respect Provençal architecture. Coloured facades, Roman tiles and the use of recycled materials have contributed to give it its original character. It is for this reason that the architecture of the creator of the lakeside city is now described as « soft architecture » because it blends perfectly into its local environment. We could really believe that the lakeside village facing the sea has been there for centuries because it is so well integrated into the landscape. 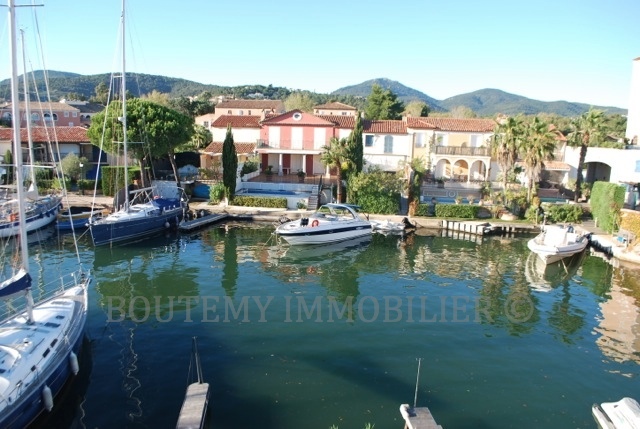 The names of the houses in Port-Grimaud are typical of the Provence. They are called fishermen’s houses – don’t get me wrong, they are by no means modest – ostales, borderives, balandrines, hunières and portales. If you still don’t know the Portgrimaudois lexicon well enough, don’t worry, Marion Boutemy and Yael at the agency will be delighted to help you get started. 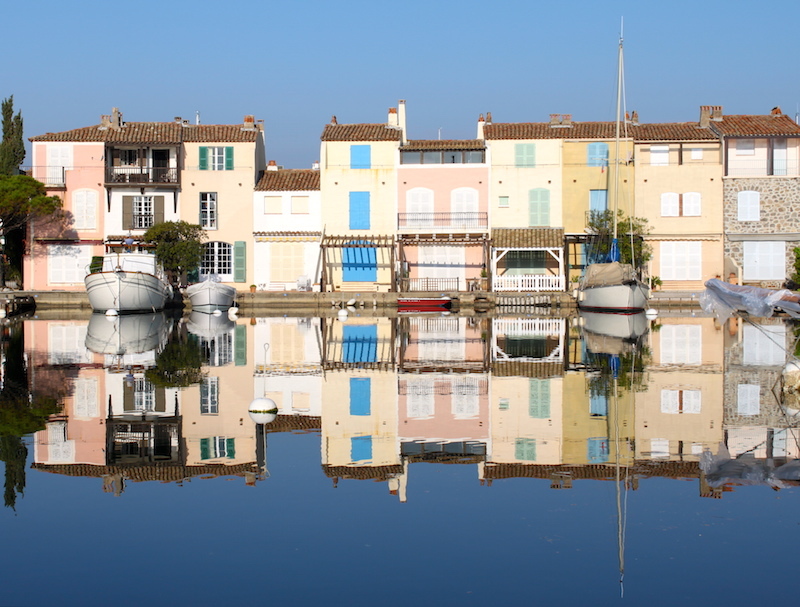 You can also read about the different types of Port Grimaud housing on our blog. It was an extraordinary challenge, to the extent that the architect François Spoerry had to buy the land himself and start construction. No one believed in it, but driven by his vision, François Soperry has succeeded and Port Grimaud has gradually come to life. Sea lovers have found every sailor’s dream there: to be able to take their boat whenever they want, even for just one hour. Here, it’s easy since the moorings are close to the houses! 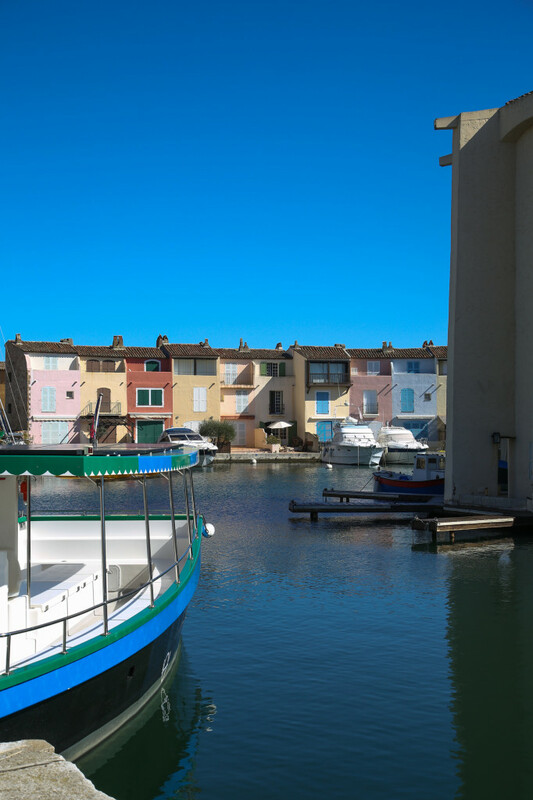 Since then, Port Grimaud has also charmed families in search of relaxation in a preserved environment. The village life was established thanks to the shopkeepers, residents and its common spaces: captain’s office, church, gardens. Travelling is done mainly by boat, with fully electrified tow barges for the locals. 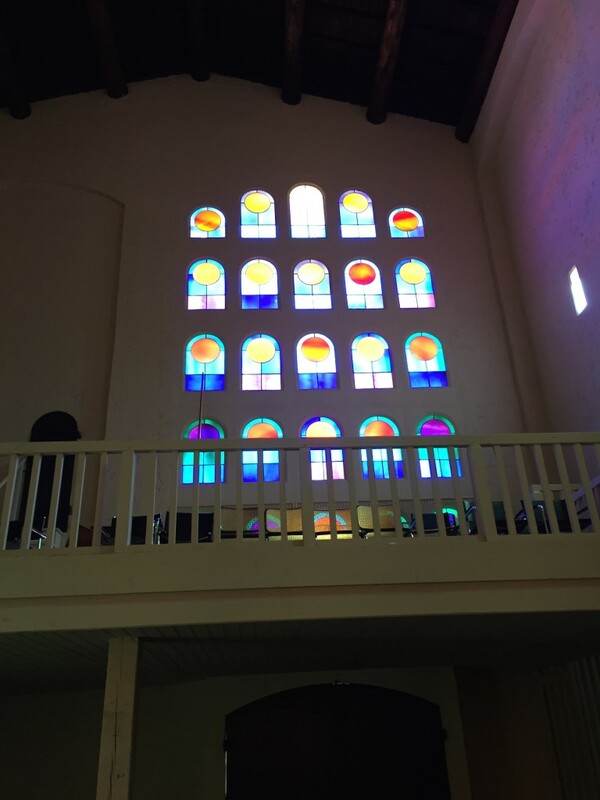 Port Grimaud has won the hearts of its visitors thanks to its authentic Provencal markets and its ecumenical church of Saint-François d’Assise lit by the magnificent stained glass windows of Vasarely and open. The lakeside town and the medieval village of Grimaud are a delight for culture lovers who enjoy the many art galleries in the village and its exceptional musical events including the Grimaldines and the musical evenings of Grimaud. Finally, the proximity of Saint-Tropez, the mythical villages of the Var as well as the Massif des Maures make it an ideal destination for a perfect holiday. Cette entrée a été publiée dans Non classé le 24 septembre 2018 par Boutemyblog.